From China, maybe directly importing as this brand shows up out of nowhere. 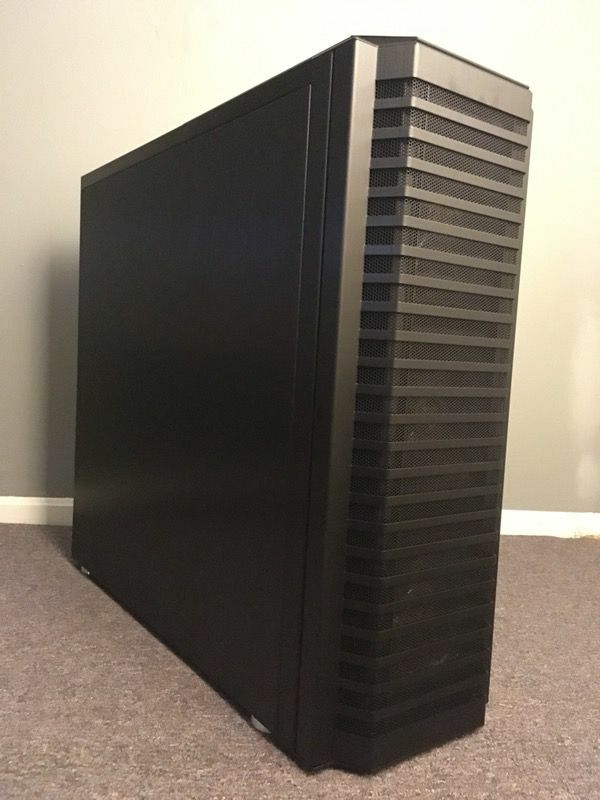 checkout this geekzone thread on a home networking install..
Is it worth upgrading my case from 2008 to a newer better airflow one and transferring all my components to it, from power supply, motherboard and disk drives? Depends what you have now and how it is configured. I went from random cheapo to a Fractal Define Mini C, cooling is better and it's quieter, win win. Looks a lot better too, which counts for something. Looks a lot better too, which counts for something. There is nothing particularly sleek about my monolithic all aluminium HTPX Lian Li beast. It does however have excellent cooling and is easy to work on, which is why I had no qualms upgrading from the mid-tower version of it when I saw it on clearance under cost. Looks like the World Trade Center towers from the front. That beast retailed for ~$800, I felt like I practically stole it at $170. I have the older non-USB3.0 smaller version of it sitting spare currently. The smaller one has 3x 120mm fans in the door, the bigger one has 3x 140mm. They are both pretty good vacuum cleaners. Thankfully they had the sense to include a slide out filter inside the door cavity. The big one also has 2x 140mm fans to exhaust out of the top hump. "Hey apple, you have a major security flaw that lets people eavesdrop on other phones..."
Yeah a 14 year old kid just showed you something easily replicated and you stick your finger up your backside for a couple of weeks. Par for the course with them - sheeple will still buy their crap though. they've disabled the buggy functionality, what's the rush? They took quite a while to disable the functionality. It's certainly raised some eyebrows in the security community (esp gubbermint). Does it matter if the site hasn't supplied an image for their product? Oh well too late placed order. Last edited by Anroid; 10th February 2019 at 7:00 pm. WTF is with the people these days coming to your house and expecting your wifi password AND then expecting unlimited bandwidth? I run an (open) guest WLAN with a maximum of 16 devices, and a 20Mbps total pipe with up to 2Mbps per device on a timer. Also locked down to DNS/HTTP/HTTPS only (with a connection limit), with the usual web and app filtering. We had a party over the weekend and I got a bit surprised about the number of people having a whinge about the speed of the free wifi (speedtest always flatlines at no less than 2Mbps up/down). Also thinking about blocking facebook due to the odd idiot who spends the entire time livestreaming the party. I've never had anyone ask for the wifi access. Do you host events or something? If someone wants to be antisocial on their phone, they can do it on their own dime. Nope. but wifes friends are always asking for it. well, that is just humans in general tbh, once they get used to something for free , they expect all the time.